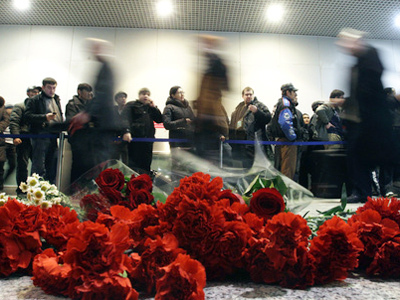 Moscow and the Moscow Region are mourning on Wednesday the tragic deaths of those killed in the Domodedovo terrorist act. The bombing took the lives of 36 people, and more than 100 injured are still in hospital. 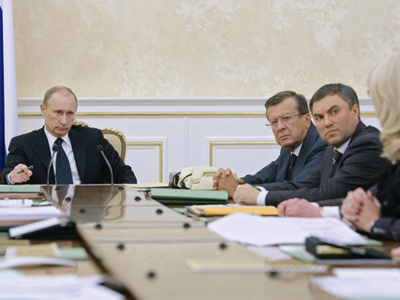 The day of mourning was announced by Moscow Mayor Sergey Sobyanin; his initiative was supported by the Moscow Region authorities. On Wednesday, flags in Moscow and the Moscow region are lowered, and many churches are holding special memorial services. The authorities have also recommended the cancellation of entertainment shows on TV and radio, as well as calling off any planned entertainment events. Although the official day of mourning is Wednesday, Moscow authorities also cancelled the traditional celebrations of Students’ Day, or Tatiana’s Day, on Tuesday, January 25. Two days after the attack, DomodedovoAirport is operating as usual. The site of the tragedy is marked by piles of red carnations that people keep bringing to honor the victims. The blast, believed to have been caused by a suicide bomber, hit the arrivals hall at DomodedovoAirport Monday afternoon. 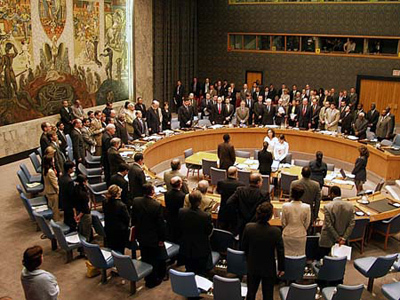 The explosion killed 35 people and injured more than 100. The attacker is believed to have walked in from the street with the bomb, past airport security. 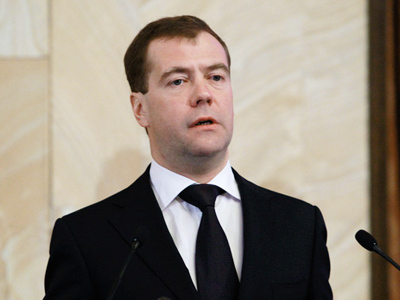 Russian President Dmitry Medvedev on Tuesday blamed the tragic accident on poor security measures at the airport and ordered the identification and punishment not only the organizers of the terrorist act, but also the responsible transport security officials. Both President Medvedev and Prime Minister Putin expressed their deep condolences to the families of those killed and injured. 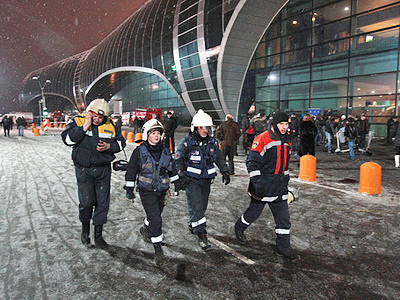 Vladimir Putin announced that the families who lost their loved ones in the Domodedovo blast will receive 3 million rubles (approximately $100,000) in compensation, while those who suffered major injuries will receive 1.9 million rubles (around $63,000) each, and those with light injuries will get 1.2 million rubles (some $40,000) each.